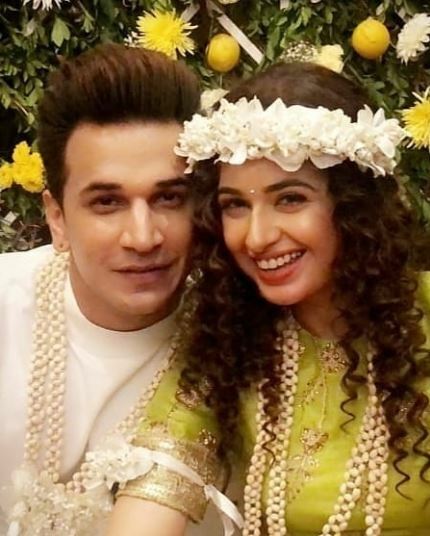 Yuvika Chaudhary and Prince Narula, one of the few couples whose love blossomed on the reality show Bigg Boss, are set to tie the knot on 12th October. 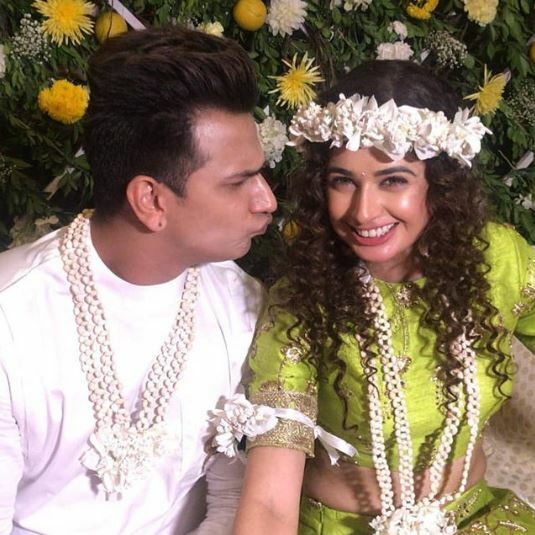 Yuvika and Prince looked like a match made in heaven at their engagement and mehendi ceremony last evening, in presence of only close family and friends. The bride-to-be, Yuvika began her day with a puja with family. 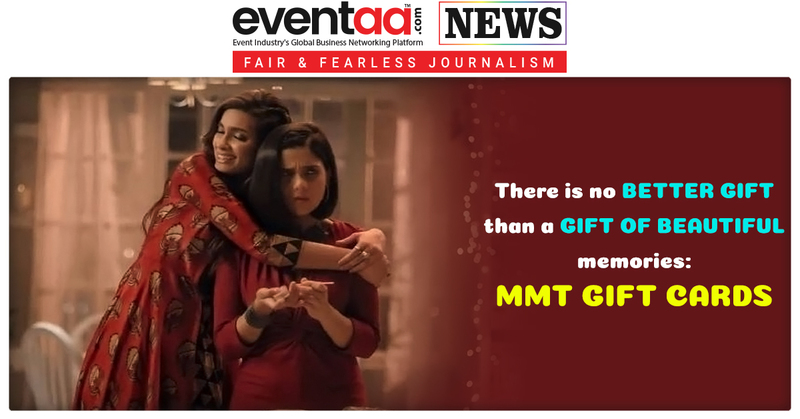 It was later followed by an engagement and mehendi ceremony in the evening. 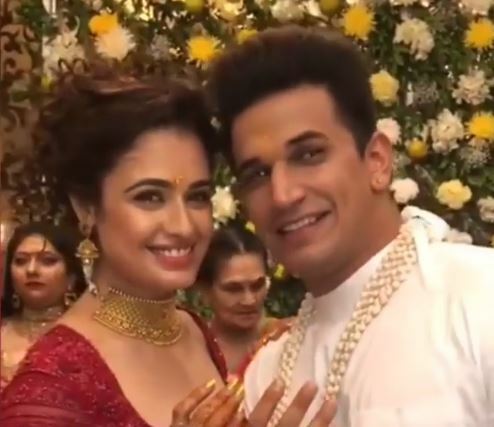 The engagement and mehendi ceremony took place at a Plush hotel in Mumbai. 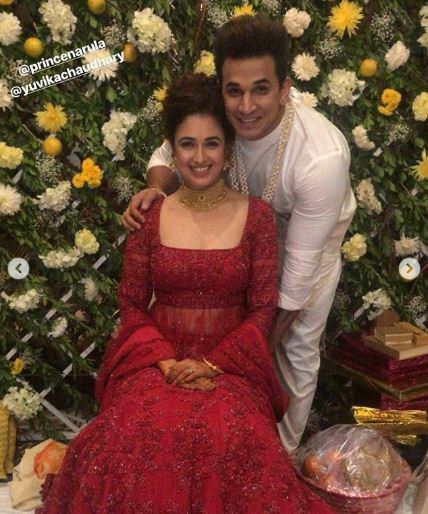 Yuvika looked stunning in a maroon coloured lehenga choli during the engagement ceremony. 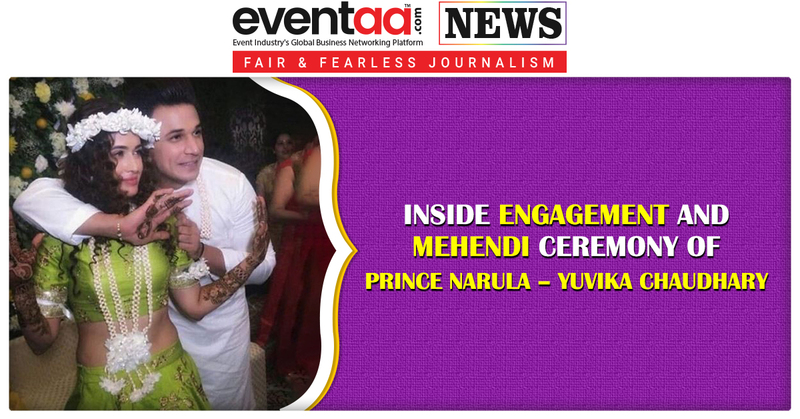 Prince also complimented her, he looked handsome in a white kurta, when they exchanged the rings. For the mehendi ceremony, Yuvika was dressed in pista green colored modern skirt and choli. She paired the attire with floral jewellery. 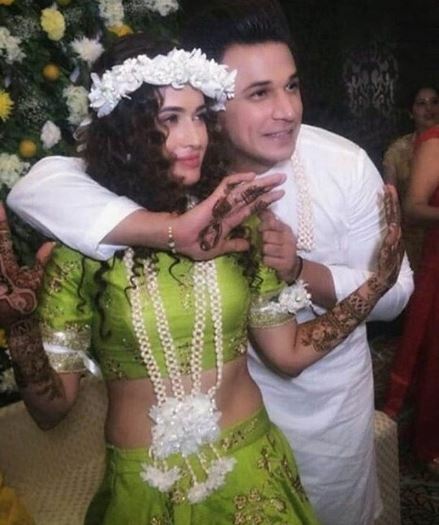 The mehendi design on Yuvika’s hands, elaborates the story of their love and now they are going to be husband and wife. The pre-wedding rituals are going on in full swing, and the bride and groom doing everything possible to make their pre-wedding ceremonies a most memorable affair. They were seen mingling with friends and families and grooved to the beats of Punjabi dhol. 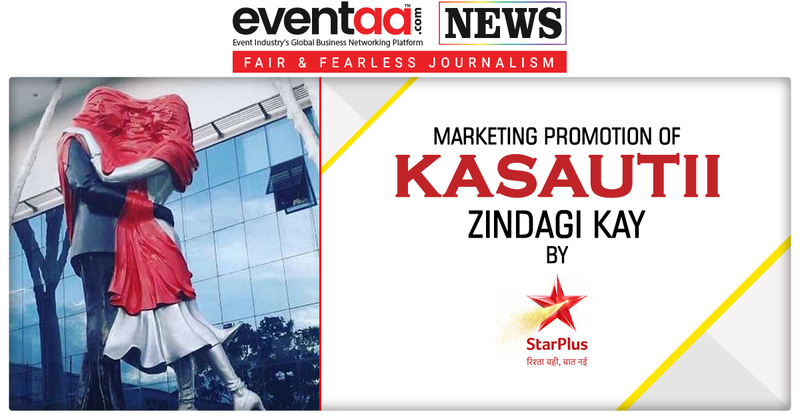 Rashmi Desai, Kishwer Merchantt and Debina Bonnerjee were some amongst the few close friends who attended the function. 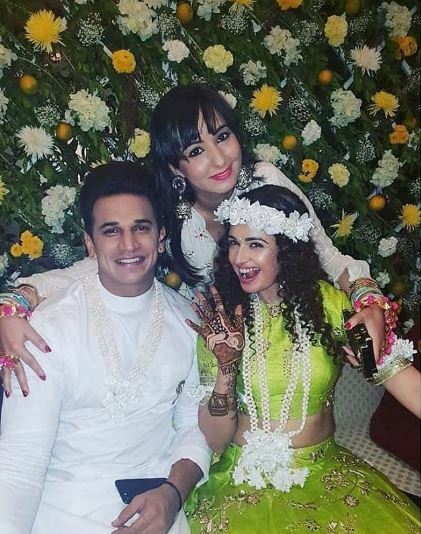 Prince and Yuvika met in the Bigg Boss 9 house and Prince was completely smitten by Yuvika there. 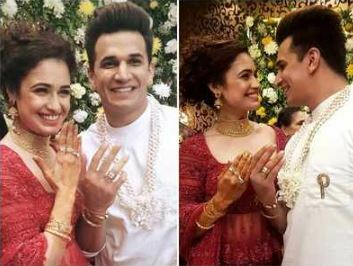 He proposed to his lady love earlier this year with a beautiful ring and announced that they plan to get married soon. 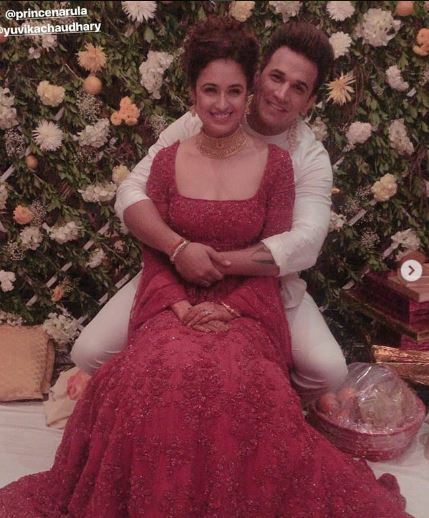 The sangeet ceremony will take place on 11th October, and the couple will tie the knot on 12th October. A reception will be held on 21st October at Prince’s hometown Chandigarh.